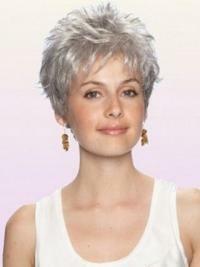 Grey wigs surely have a striking beauty and are perfect for women of all age groups. Whether you want to flaunt your unique fashion style or look naturally stunning at your age, these wigs are just what you need. urhair.co.uk carry a variety of grey wigs in every texture and style, but here you can find our most popular grey wigs in various hairstyles. 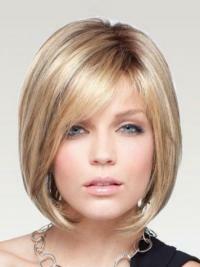 Try a short pixie cut, a medium bob or a longer shag cut with tons of layers. All the styles below are available in shades of gray and silver. Our grey wigs are natural looking. We love these gray wigs, and we think you will too!